On 20th May, I will be discussing the latest adaptation of F. Scott Fitzgerald’s The Great Gatsby (1925), one of the most widely-read and taught novels of the twentieth century. 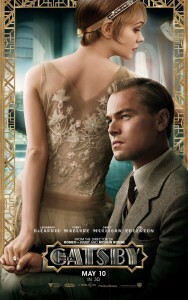 I will be mainly concerned with three interrelated issues 1) the challenges of adaptation generally 2) the specific challenges of adapting Fitzgerald’s novel for the screen and 3) how we might think about this most recent adaptation in relation to earlier adaptations of the work, notably the 1974 version featuring Robert Redford as Jay Gatsby and Mia Farrow as Daisy Buchanan. For this blog, I’d like to discuss briefly my own interests in the novel, which relate to the particular historical context in which it was written. I have an article forthcoming in African American Review on the relationship of the novel to a subsequent novella, Passing (1929), by an African American writer, Nella Larsen. As such, my article contributes to a relatively recent body of work which contextualises The Great Gatsby in relation to debates on immigration, race and ethnicity contemporaneous with the publication of the novel. Critics have pointed out, for example, the significance of the fact that the novel appeared just a year after the passage of the Johnson-Reed Immigration Act of 1924. As the U.S. State Department tells us, this Act “limited the number of immigrants allowed entry into the United States through a national origins quota. The quota provided immigration visas to two percent of the total number of people of each nationality in the United States as of the 1890 national census. It completely excluded immigrants from Asia.” In other words, Gatsby appeared at a historical moment during which the U.S. was battening down the hatches against immigrants and anxiously questioning the white credentials of some immigrants over others. What concerns me and these other critics is the idea that Gatsby is not a suitable partner for Daisy, a Southern belle who speaks nostalgically of her “beautiful white girlhood” because of a complex mixture of both class and race. For Walter Benn Michaels, for example, “Gatsby (né Gatz, with his Wolfshiem ‘gonnegtion’) isn’t quite white, and Tom’s identification of him as in some sense black suggests the power of the expanded notion of the alien” (Michaels 25). It is more or less accepted now that Jay Gatsby, born James Gatz, was probably Jewish and the combination of his working-class background and Jewish ancestry account for his cruel treatment by the East Egg elite. In 2000, a scholar named Carlyle Van Thompson made national news in the United States when he delivered a paper at a conference in Charleston, South Carolina, entitled “The Tragic Black ‘Buck’: Jay Gatsby’s passing in F. Scott Fitzgerald’s The Great Gatsby.” In his subsequent full-length study of passing fiction, Van Thompson offers comprehensive, though not always persuasive, evidence that Gatsby may be a light-skinned African American passing as white. 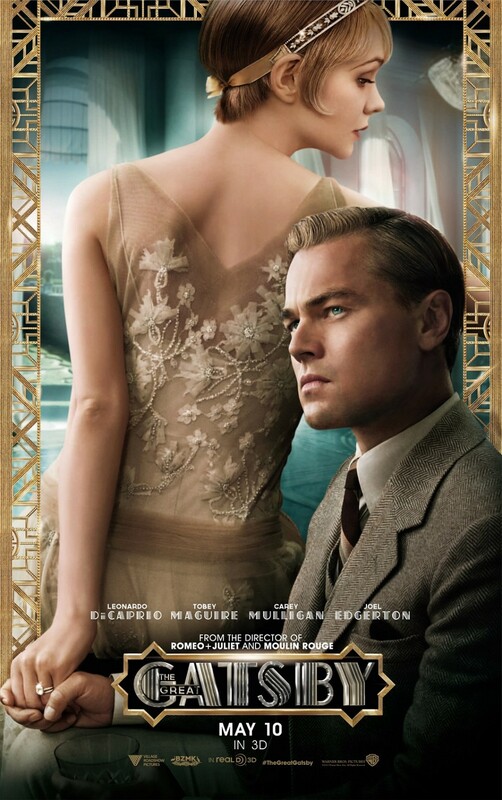 In my introduction to Baz Luhrmann’s The Great Gatsby (2013), I will talk a little about the casting of Gatsby across various adaptations, given these larger conversations about race and ethnicity in relation to the novel. What does it mean, for example, to cast a very WASP-ish Robert Redford as Gatsby in Jack Clayton’s 1974 version? In the Baz Luhrmann version, the part is played by Leonardo diCaprio. How might we think about these more famous adaptations in relation to the lesser-known film G (dir. Christopher Scott Cherot, 2002) which is loosely based on the novel and features an all-African American cast? I look forward to discussing these issues in a bit more detail on 20 May. Sinead has written extensively about ‘passing’ and identity in American Literature. Find out more about Sinead’s research here.